Jenna L. Tucker joined Rammelkamp Bradney in 2017. Jenna is originally from Havana, Illinois. She earned a Bachelor’s of Arts degree in Political Science from Bradley University in Peoria, Illinois in 2012. While at Bradley, Jenna had leadership roles in her sorority, Sigma Kappa, and was president of the Student Alumni Association. Jenna became a member of the Illinois Bar in May of 2017. She earned her Juris Doctorate from Southern Illinois University in Carbondale, Illinois in 2016, with a concentration in Business and Transactional law. She was a member of Phi Alpha Delta, Women in Law, and was a member of the 2015 Board of Editors for the Southern Illinois University Law Journal as a Casenote and Comment Editor. 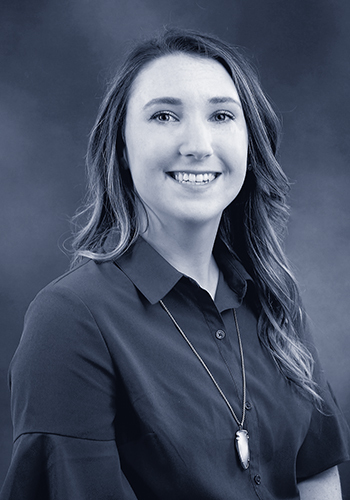 During law school, Jenna was also a research assistant for a member of the SIU law faculty that focuses on education and learning theory models, a judicial intern at the Peoria County Courthouse, and a law clerk at Rammelkamp Bradney.